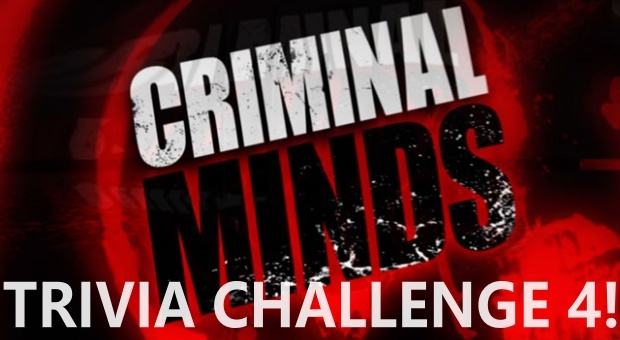 *CONTEST* CRIMINAL MINDS TRIVIA CHALLENGE 4! **WINNERS ANNOUNCED** CONTEST! CRIMINAL MINDS TRIVIA CHALLENGE 4! Scroll down to see who won, and to see the just-added photos provided by the winners! Hello again all Criminal Minds fans and fam! It’s that time of year where you put all your hard-won knowledge of our favorite crime drama to great use! Profilers-in-training will want to outsmart all the other FunSubs, and take home this sensational, one of a kind swaggy loot that lets the world know YOU are indeed a master of trivia-fu! CHECK IT OUT! 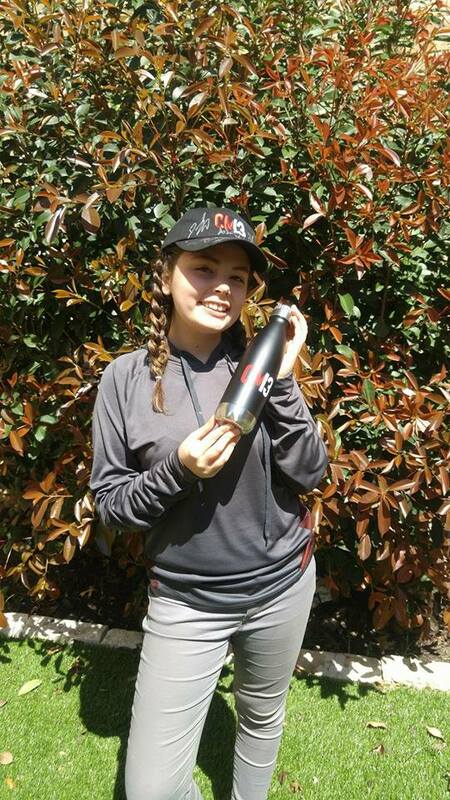 Here, the formidable miss Willow Jean shows she’s ready to beat the Texas heat with a TEAM-AUTOGRAPHED season 13 cap, and a primo metal water bottle emblazoned with the CM13 logo! BOTH winners will each receive BOTH of these choice prizes! The lucky winners will also EACH receive one script signed by not only the WRITER(s), but the ENTIRE CAST. The scripts are for two of season ten’s finest episodes – Nelson’s Sparrow written by Erica Messer and Kirsten Vangsness, and Mr. Scratch written by Breen Frazier. 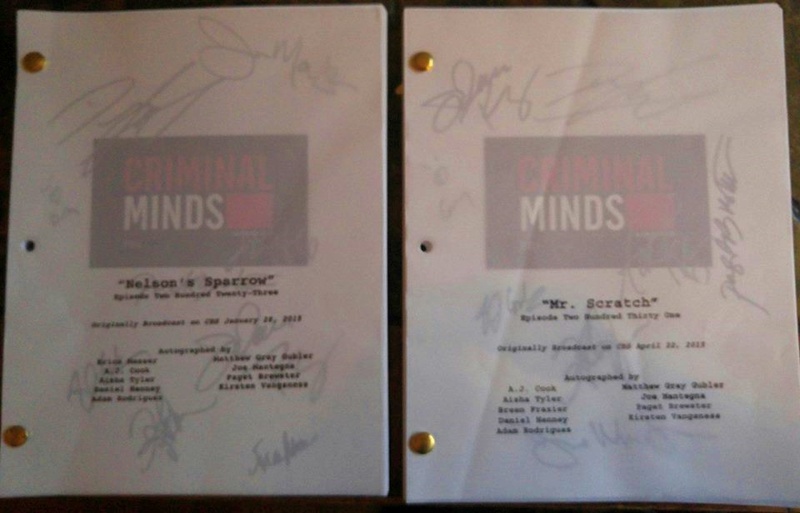 In the case of Mr. Scratch, it’s also signed by the cast member who did double-duty as director: Matthew Gray Gubler! 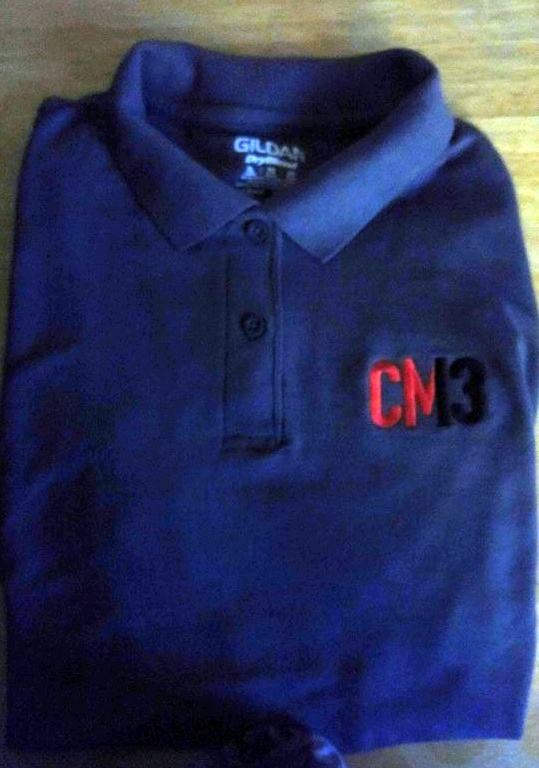 There’s one more awesome prize that will go to the top winner and trust me, you’ll be looking fine watching your favorite episodes in your unique, charcoal gray, CM13-emblazoned POLO SHIRT! Without further ado, BEST OF LUCK TO ALL, and Wheels UP! 5. Alex Blake has a PhD in Forensic Linguistics. What was her dissertation on, and what is the title of her book? The Fluidity of Metaphors. Her book is The Route of Linguistics. 11. In the season 4 episode Catching Out, what was the UnSub’s drug of convenience? What physical malady did he have to show for it? Huffing household chemicals, blisters/burns around his mouth, dry red rash. 13. List at least five UnSubs the BAU has had to deal with who were in more than one episode. Everybody got this one right. Reid: No I didn’t, I am a doctor, so technically it wasn’t a lie. Garcia: What was it then? Send your completed entry to cmfandom@gmail.com by 11:59pm CT, March 28, 2018, the deadline to submit answers. One entry per person, but you can send in corrected versions if you get it in by that time. Winners will be chosen by random selection from all correct entries submitted, and announced on or before March 31, 2018. Winners from previous years cannot enter this year, sorry guys. Trivia Challenge is open to any fans worldwide, but you’ll have to pay the shipping and insurance on the prizes if you live outside the US. 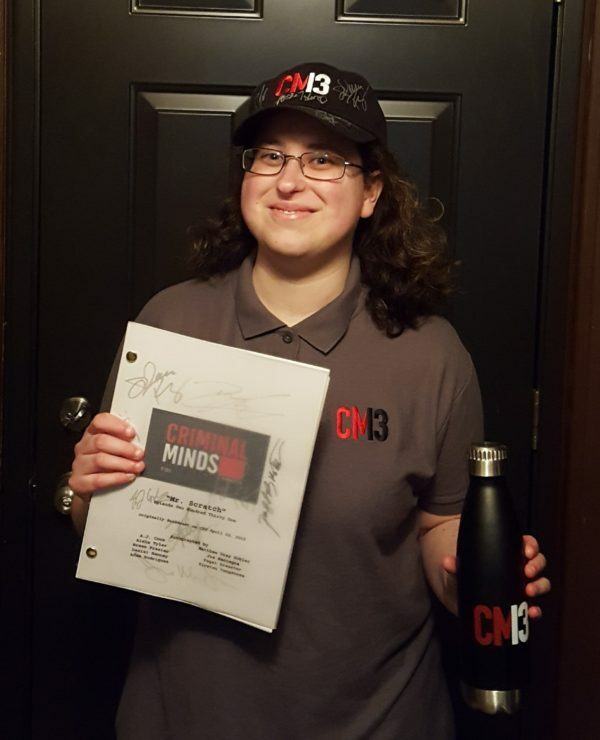 For the autographed cap, the signed Mr. Scratch script, the CM logo fancy water bottle, and the CM13 Polo – the winner is JAYDEN GRASSER! Jayden has sent us this awesome pic of her sporting her winnings! Join me in congratulating her on a job well done! 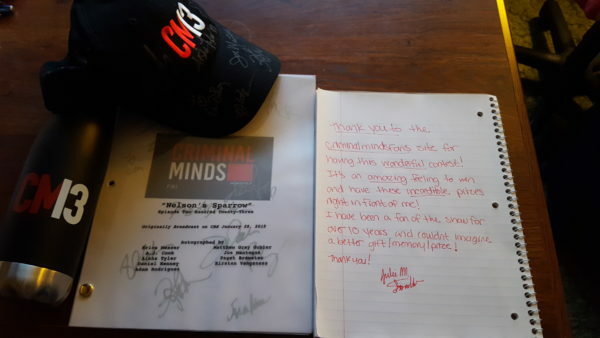 For the autographed cap, the signed Nelson’s Sparrow script, and that cool CM water bottle – the winner is JULES MARIE! Jules has also sent us a pic and while she did not want herself in the photo, she sent along this gracious note! Great job, Jules! Congratulations to the both of you, and a huge round of applause to all those who played. See you next year! Do you know where to send fan mail to the cast of the show? You also may want to put which actor or staff you want the letter to reach.